However, the executives of the network were serious about recruiting him to host a personal finance show they were cooking up, called “On the Money”. When they mentioned the concept, Edric laughed and acknowledged that this wasn’t his professional background. Although he felt very unqualified, they actually weren’t looking for an expert in finance. 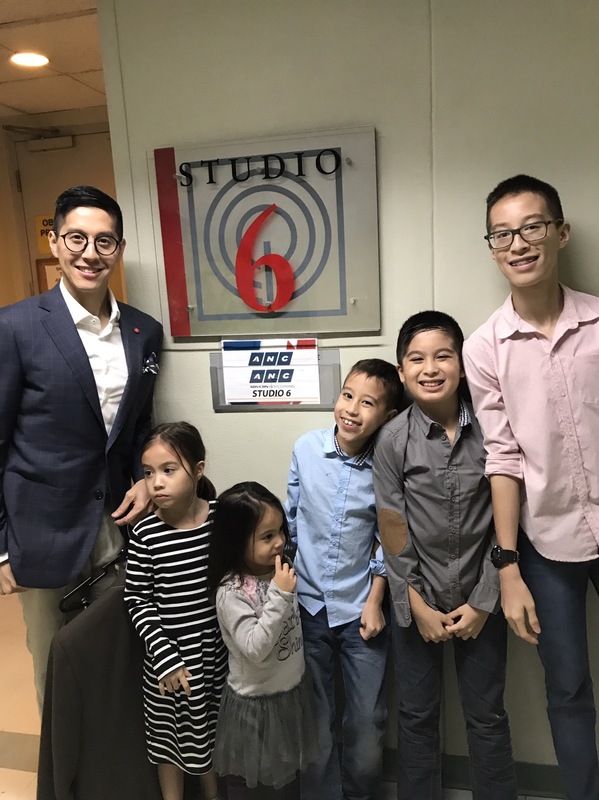 They needed someone who would be able to engage guests on the show, someone who could simplify financial literacy for Filipinos. Realizing this offer was a serious one, Edric and I prayed for God’s leading on the matter. This wasn’t a career path that had been on his radar at all. His main preoccupation was leading the homeschool organization, The Master’s Academy (now called Homeschool Global). As a businessman, he could set aside time to do the TV show, but he had to know if it was from the Lord or just a distraction from his priorities. After seeking counsel from several men who mentor him, as well as those outside of our church, who could offer their objective opinions, the answer was a yes. Finally, we prayed that the show would be pre-taped since traveling all the way to ABS-CBN every day would be impractical. Edric’s main focus was still running the homeschool program. In a matter of days Edric was informed that the show was going to be pre-taped! Hoorah! 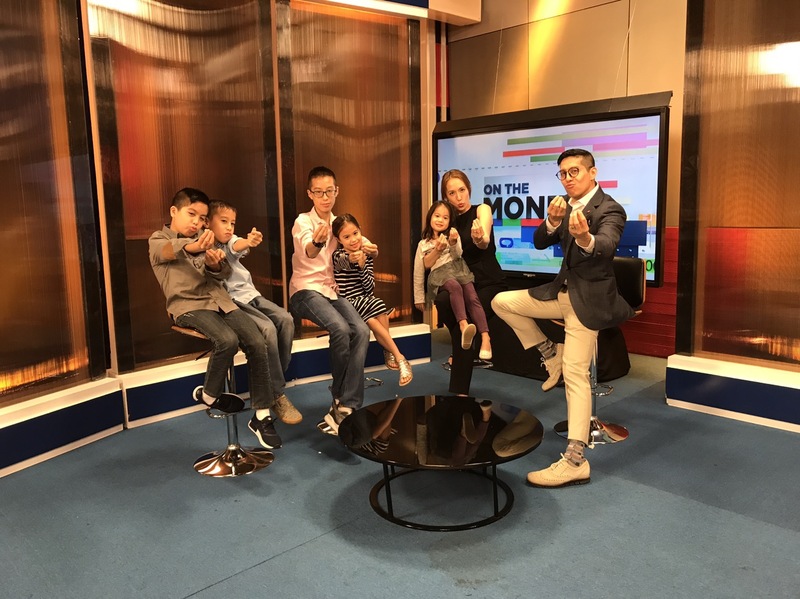 Just like that, Edric became the lead anchor of ANC’s On the Money show, which aired daily for the first four years that he was a part of it. At the beginning, he was terrified, knowing very little about the industry, the guests, and the environment of a studio. However, I’m proud to say that he adapted quickly on the job. God helped him to adjust to the culture of ANC, where he developed great friendships with the people he worked with. He also enriched his learning by acquiring an RFP (registered financial planner) certification. Of course, there were a lot of fun perks for him as a TV personality, too. People would ask him to speak on personal finance for companies and organizations around the country and in various parts of the world. He was paid to do endorsements (although ANC had to approve them first because they had strict rules for their talents.) Clothing brands sponsored his outfits, some of which were so expensive I can’t even discolose their amounts for prudence’s sake! What I appreciated observing in him during this journey was that he stayed the same in character. He was still the simple, down-to-earth guy I married. In many ways, he even became an improved version of himself. The show trained him to be a better listener and communicator, how to ask the right questions to draw out a person and make them comfortable. Beyond this, Edric grew in God-confidence since he had to deal with all kinds of people, from all walks of life. He depended on the Lord for wisdom and enabling in order to overcome his insecurities and lack of tenure as a tv anchor. Throughout the years, I praise God that he stayed spiritually grounded, too. Even though he became the busiest he had ever been, he remained present as a husband and father. There were seasons when all of his commitments to different organizations, the business, as well as the show would converge in an overwhelming way, but God provided the grace to get through these. I always felt like he re-ordered and re-calibrated when necessary to avoid neglecting his relationship with the Lord, the kids, and me. 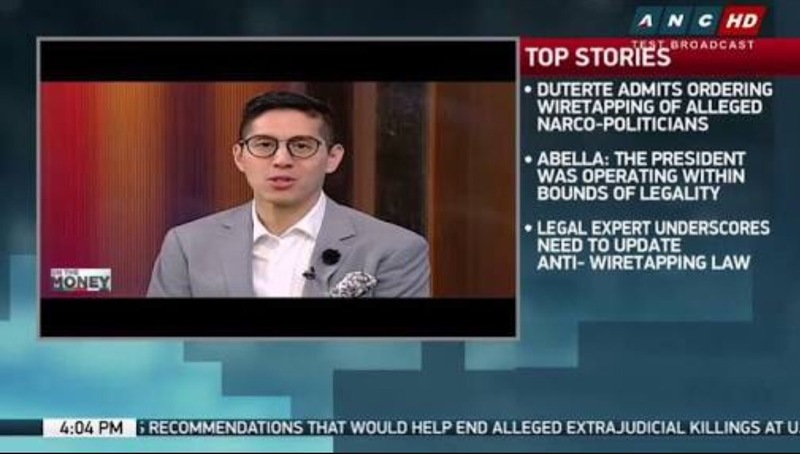 Someone once asked me, “How do you deal with Edric being on tv?” I had never been asked that before, but I was glad to answer the question. “He’s the same guy,” I said with a smile. If, at the core, you know who you are in the Lord, circumstances shouldn’t alter you in a negative way. But if you are seeking for importance through what you do then the tendency is to compromise. It’s only by God’s grace that Edric’s core person didn’t grow ugly when he became a public figure. Did he struggle with pride issues and was he tempted to get his sense of self worth from being on tv? From time to time he did, which is why I said it was only by God’s grace that he survived with his spiritual person intact! The juggling act of wearing many hats had its stresses but Edric managed to do everything with a supernatural energy that came from the Lord. Yet, on year five of the show, he began to deal with some major crises in the homeschooling movement and on the personal front. The Department of Education grew difficult about policies and permits, and he had to make appeals, meet with them, and work with them to protect homeschoolers’ right to home educate their kids. 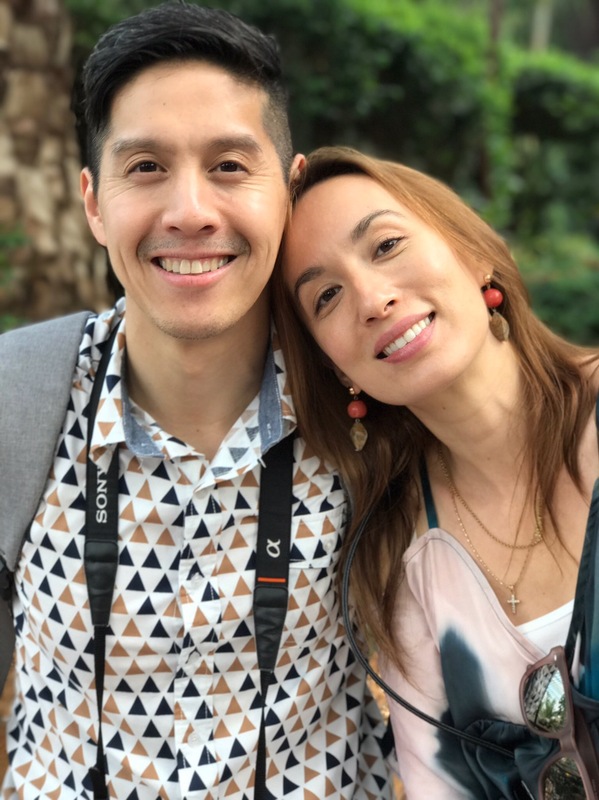 Not many people may have known how stressful a time this was for him as he balanced the demands of the business and an impending merger, anchored for the tv show, preached, led our couples’ group, gave talks around the Philippines and even abroad, and attempted to write a book (besides being a husband and father). With all of this going on, Edric actually disappointed a number of people. He had people verbally mudslinging the Homeschool program he was leading for certain changes he made. He was personally criticized many times, too. Even some of his closest friends were frustrated with him for being too busy for them. Thankfully, the kids and I were fine! We still got to spend loads of time with him, but I knew he was weary and discouraged. He tried to repair relationships and correct the wrongs that were brought to his attention. Yet he was doing too much to be on top of everything in the excellent way he aimed to be. He did tell me several times how lonely it often felt being at the helm of things, too. We processed this all together and I encouraged him that he needn’t be overwhelmed by what was beyond his reach. For as long as he was walking with the Lord, obeying Him, and doing his best to serve others, as well as humbling himself when he made mistakes, then he was doing what mattered. In the midst of this trying time, Edric wondered if he had to cut back and focus. (Between Edric and I, he’s the one with the capacity to do many things. I can’t do what he does and it’s always been one of his impressive traits to have such boundless energy.) Feeling the strain of juggling too much, he asked the executives of ANC if he could take a six-month leave, which they very kindly agreed to. This allowed him to channel his energies towards the demands of the homeschooling movement. Here is a point I must bring up about ABS-CBN’s news channel. Edric spoke very highly of ANC and had great respect for the people he worked with. 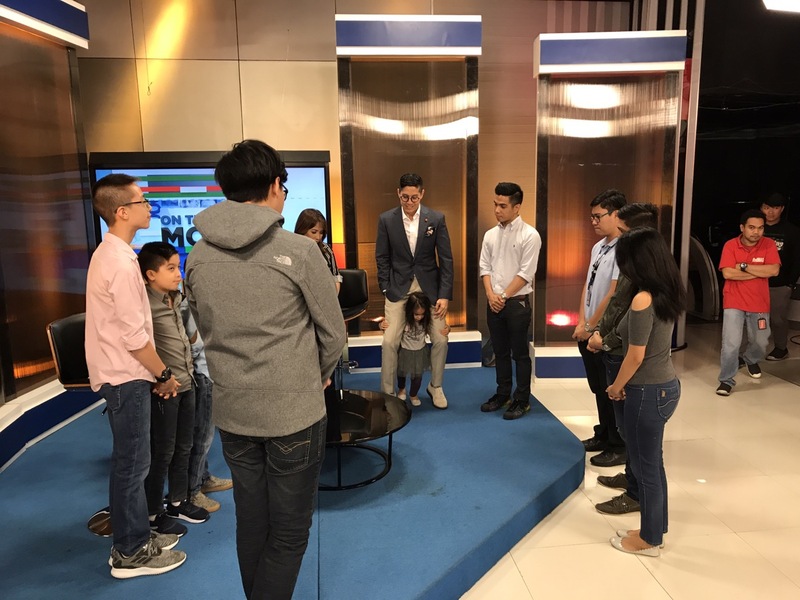 From his co-host, Salve Duplito, to Executive Producer, Patrick Pascual, and Segment Producers, Aiza Lumbuan and Julian Cirineo, as well as News Head, Ging Reyes, and COO of ANC, Cilette Liboro-Co, Edric held them all in high regard. He was blessed to be part of a super team that cared for each other and were very understanding about what was important to him. What he valued, they also valued, such as family and relationships, and they were as flexible as they could be when these priorities were compromised. By January of 2017, the homeschooling movement regained its momentum as issues were solved. As committed, Edric was back on the show. Thankfully, God resolved a lot of the problems and issues (some still remain), but the major ones like working with the DepEd and business merger concerns were sorted. Once DepEd had a clearer grasp of home education, they were very accommodating and eager to find ways to help homeschoolers. Despite the positive turn of events, Edric never felt at peace when he went back to his regular tapings for On the Money. He enjoyed anchoring a lot, but he felt like it was no longer aligned with where God was leading him. He felt strongly called to zone in on the needs of the homeschooling program, and found that having to do his tapings and prepare for them side-tracked him from giving his best. He couldn’t do his best on the show, and likewise couldn’t give his best to the homeschooling movement. For a while, he vacillated and struggled, repeatedly asking for prayers and wisdom from mentors, family, friends, and me. It wasn’t a choice between a bad thing and a good thing. That would have been easy and obvious. Instead, he needed to know with certainty that God wanted him out of something good like TV anchoring and all-in with something also good like homeschooling…two good things, but what was the greater priority in this season? It took several months to arrive at the point where he finally decided to speak to the network heads to end his time at ANC. The journey to this moment was a hard one. 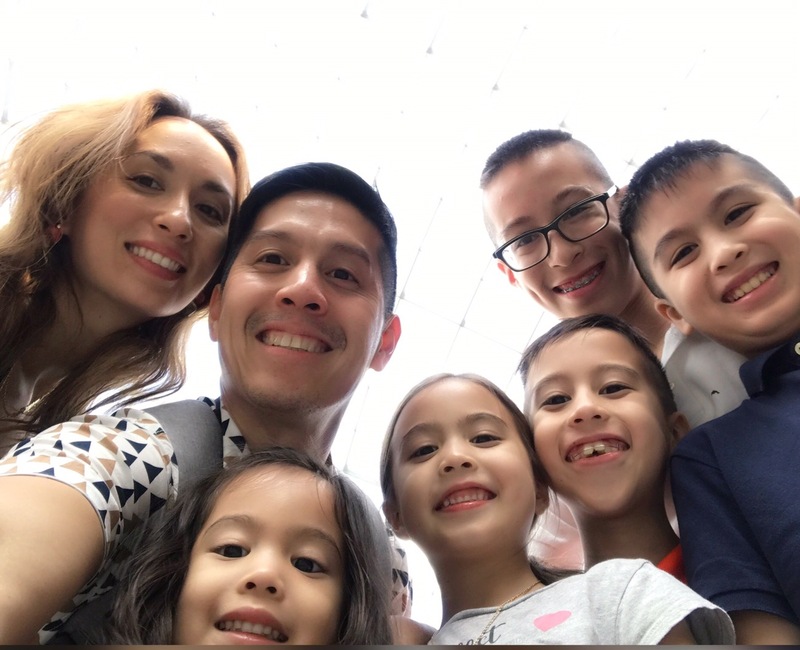 Edric agonized over the pros and cons, what he would be giving up — the relationships, the extra income, the influence, and what he would have to face — the unknowns and the fears. As Edric’s wife, and for those who knew the wrestling he was dealing with, we understood why he finally decided to close this chapter of his life. His desire to order his God-given priorities was a great thing…the greater thing. 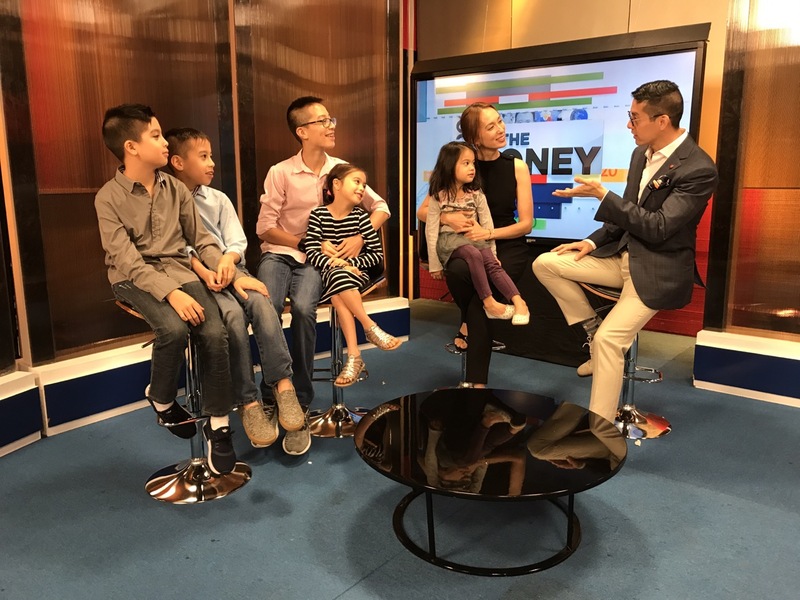 There are many who can champion personal finance, but homeschooling in the Philippines doesn’t have many champions. 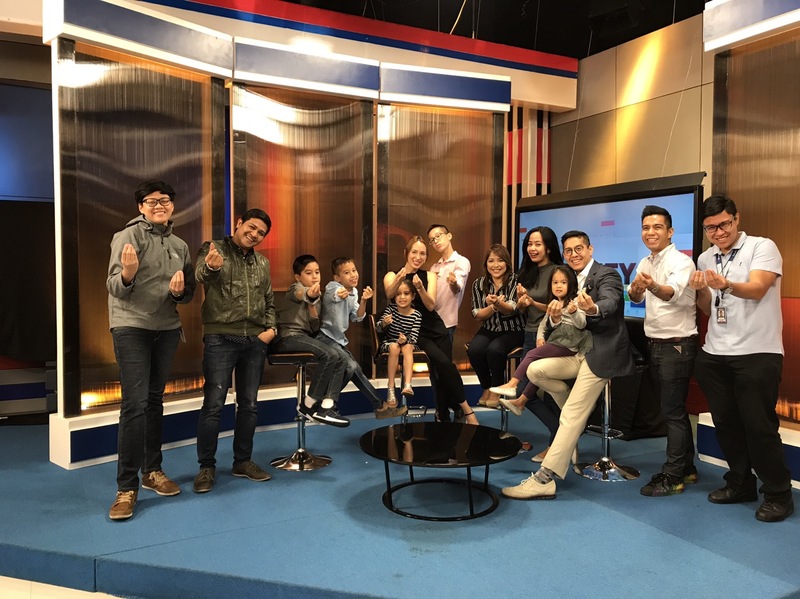 It may not be glamorous to be an advocate of homeschooling, but Edric’s heart is for families. His mantra is to “change one family at a time for Jesus Christ,” and he believes that parent-led education is one of the best ways to do this. Furthermore, his conviction to walk away from a profession that detracted him from getting his self worth in Christ alone was another considerable factor. 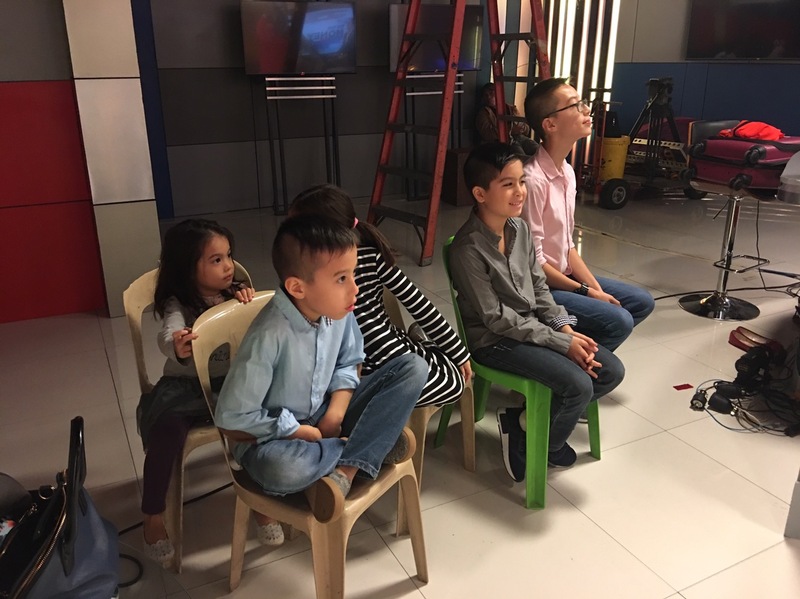 During his last taping in July, Edric invited the kids and I to watch him. It was my first and last time to see the On the Money studio. Prior to this, I had never visited him on set or seen him at work in front of the camera. The kids and I hung out in a corner eating pancit which the crew thoughtfully handed to us. We tried to be as quiet as possible as Edric and Salve taped their final show together. Afterwards, there was a short ceremony to bid him goodbye. I could sense the sadness in Edric’s posture and expressions, even as he tried to crack jokes to keep things jovial. I also spied Edric’s eyes tearing up as hugs and well-wishes were exchanged. We took a few shots on the set but I know Edric didn’t want to prolong the agony of saying his goodbyes, so we exited shortly after. The walk down the hallway from the studio was quiet as I held his hand. We both knew there was no way to end this season of his life without feeling the sting of it. He was going to miss everyone he worked with and his friendships with them, the camaraderie of pushing the show’s advocacy, building a brand together, seeing it through its difficult birthing stages to reveling in its successes, learning to get along despite each other’s differences, and appreciating each other’s strengths. How do you walk away from all of that history without feeling like you left a part of yourself behind and wounded a part of those who thought you were in this together, as a team, for the long term? The answer is you can’t. There will be hurt. There was. There still is at times. This is why important life decisions can never be made without much consultation and prayer. We have to walk intimately with God when it comes to choosing between good things in order to discern the greater thing, because good things will get sacrificed. So the greater thing at that particularly season of your life must be revealed clearly by God through prayer and the confirmation of His Word, circumstances, and those in authority over you, as well as your mentors and confidants who walk with the Lord, those who are informed about your weaknesses, strengths, and calling. When the answer is apparent, then take courage! Obey God’s voice. Do not be afraid to make a hard choice. These occasions when you and I are refined for God’s purposes by the stripping away and letting go of what hinders us from the trajectory He wants us to be on is for our ultimate good. Furthermore, there will be clarity of purpose, renewed vigor and strength from the Holy Spirit to pursue it, and an excitement for what God has in store even if it is yet unseen. In the past few months, I have witnessed this in Edric. Being able to focus has made him more effective and available to institute systems and positive changes for Homeschool Global. He’s even enrolled in an online course on education with Harvard, eager to equip himself. Very often, Edric shares with me, “I love what I am doing. I look forward to work!” When he says this I know it’s God’s affirmation — the blessing of obedience. The greater things God prods us to choose may not always lead to more prosperity and more popularity — images of success that often compel us to do what we do and make our choices. Instead, God calls us to leave a legacy, to do things that will outlast us and count for eternity, to live for the age to come. For Edric and our family, my prayer is that we will be used by God to transform hearts, families, nations, and the world for His glory. May we have the courage to abandon pursuits that compete with these. Amen and amen! This also happened to my husband who left the medical profession at the height of his practice 8 years ago in order to follow God’s leading towards a global ministry. We had 3 young kids at that time and a 4th on his second year of ministry. God has continued to show Himself strong and faithful to us. We have decided to follow Jesus! No turning back! No turning back! See you at the finish line, by the grace of God! Thank you so much Ms. Joy for sharing this story. Its really hard to know which path we need to go without Christ to light our path. I remembered how graciously Mr. Mendoza answered some of my inquiry about homeschooling when I attended one of the seminar they had at ccf ortigas year 2012. I was single and it was one of my preparation for marriage and parenting but thankful to God they allowed me to be part of it with his permission, and learned much about homeschooling that day. I am also grateful to witnessed how you and your mom prayed for my friend in one of ccf ortigas early morning prayer. She received the answered for that prayer after years of waiting. Thank you. Thanks for sharing this, Lady. God bless you! Yes we still have to have you over 😊 it’s been a blessing to know you, too, Rose! May God continue to bless your advocacy and platform! I praise God for you, Joy and Edric! Thank you for sharing. God’s joy and peace always surround you as you choose to walk in His path and obey His ways. God bless you always as you glorify Christ Jesus in your lives! I praise God for you and Edric! Reading this has blessed my heart. Your family is a very big blessing to us and I believe to all homeschoolers. Thanks for the encouragement, Lannie! Thank you for this inspiring and encouraging story Joy. My husband and I love watching ANC’s on the money, one factor is Mr Edrick. We learned a lot and made some investments and financial planning because of the show. Thank you! Thanks Joy.. Our family is about to make a decision in the near future. It is enabling because it reminds us that God gives us wisdom when we ask for it. And it is also a warning on our real motives in choosing one over the other. We pray that we pass the test of our hearts. I found out just today and it is sad as the show is different without Edric’s intelligent conversations in the show. But I also admire the home schooling endeavor of your family. As a single mom, I only want what’s best for my daughter, I would love for her to be home schooled except that I’m a working mom so I don’t know if tbat’s possible. Anyways, thank you for the inspiration that your family shares. I wish for the success of home schooling. God bless you and your family. I’m happy that through your blog, we learned that it really isn’t just about the On the Money host, but it’s about a great family. This is a very timely read for me, Joy. I am facing a similar crossroad where I know God wants me to choose the greater thing so He could be glorified more in my life. Indeed nothing must compete with Christ in our lives. I certainly hope we can talk more the next time we see each other. There is so much to share. Our lives always seem to move parallel to each other and cross paths at very short junctures. 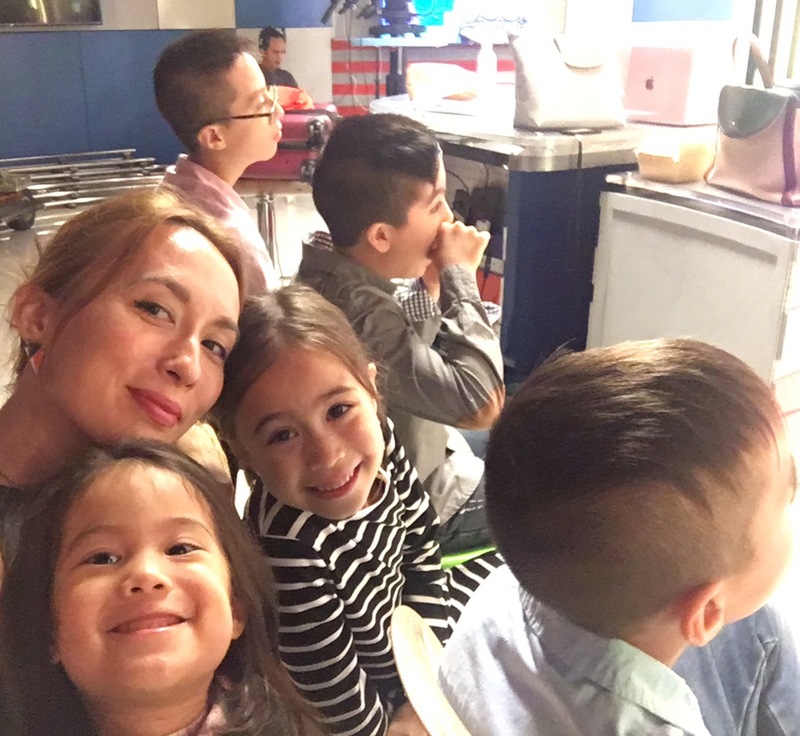 The Lord bless you, Edric and the kids! Gods word is like a two edged sword it will penetrate to your deepest soul. Timely message about our present condition and situation in our family finances. But all works for God to those who love God. Thank you Lord. Praying the God will grant the deepest desires of your heart Ms. Joy and your family 🙂 Continue to shine for Jesus !! !